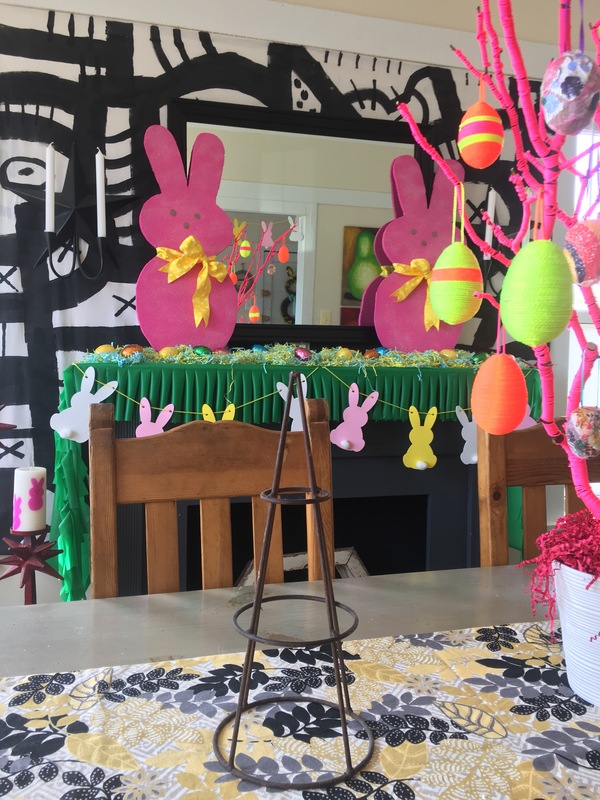 I’m hosting an Easter gathering at my place this year. So, the decorating rolls on. 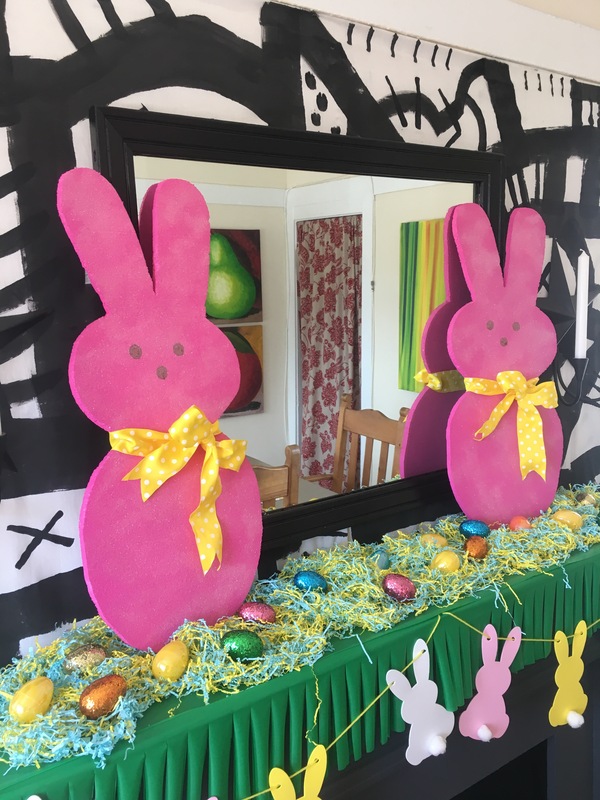 Once again, I was feeling inspired by Peeps brand bunnies and decided to make these giant Peeps bunnies to decorate my mantel. 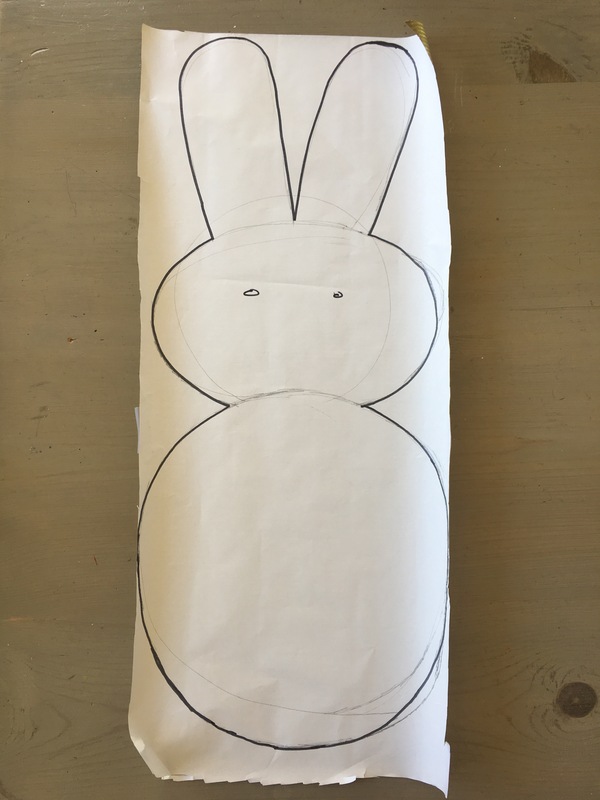 First, I drew a Peeps inspired bunny template onto some paper that was roughly the size of the styrofoam piece I would be making them out of. 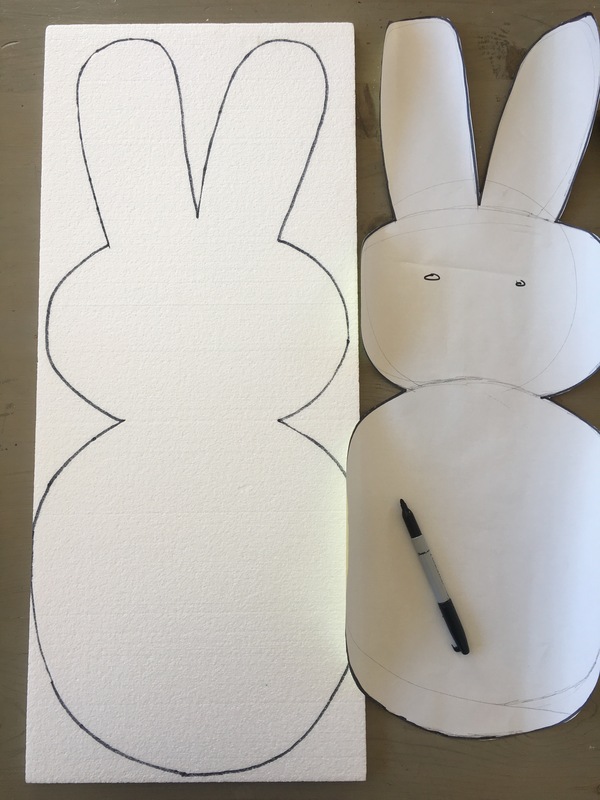 Next, I cut out and traced around the bunny template onto a 0.4 in x 11.8 x 27.8 in Smooth Foam styrofoam board. Then, I carefully cut him out with a boxcutter. 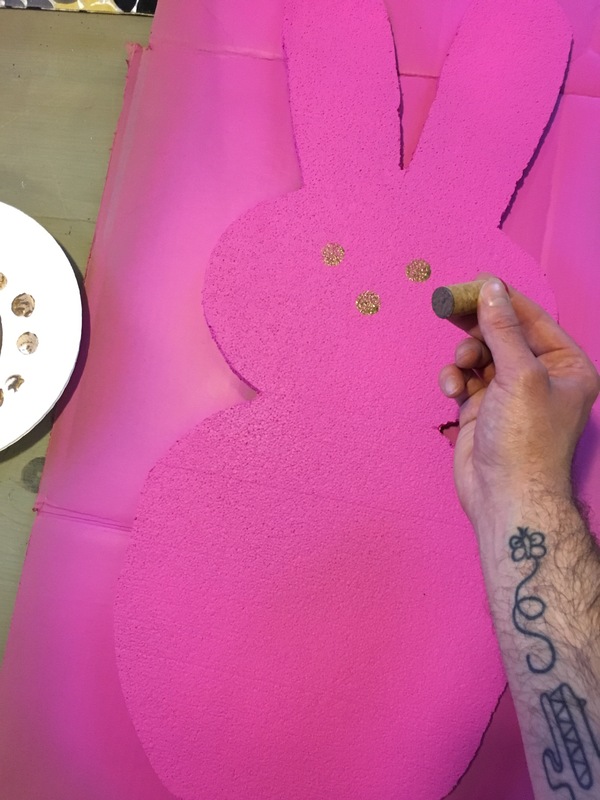 I used Liquitex Medium Magenta spray paint to make him perfectly pink. 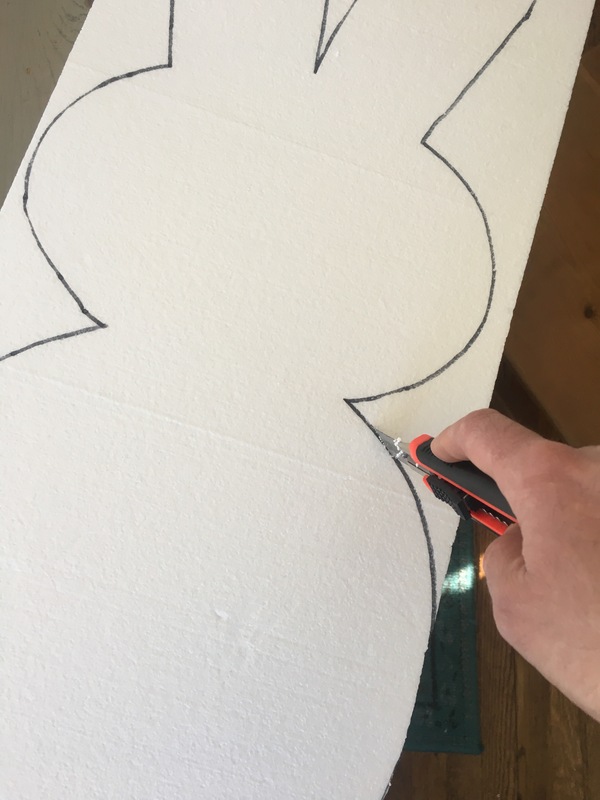 Make sure you use a spray paint that won’t eat the styrofoam. Once he was dry, I dabbed on his eyes and nose with some metallic brown paint. I used a cork as a stamp. It worked out perfectly. Finally, I sprayed him with a coat of spray adhesive and sprinkled really fine clear glitter on him. 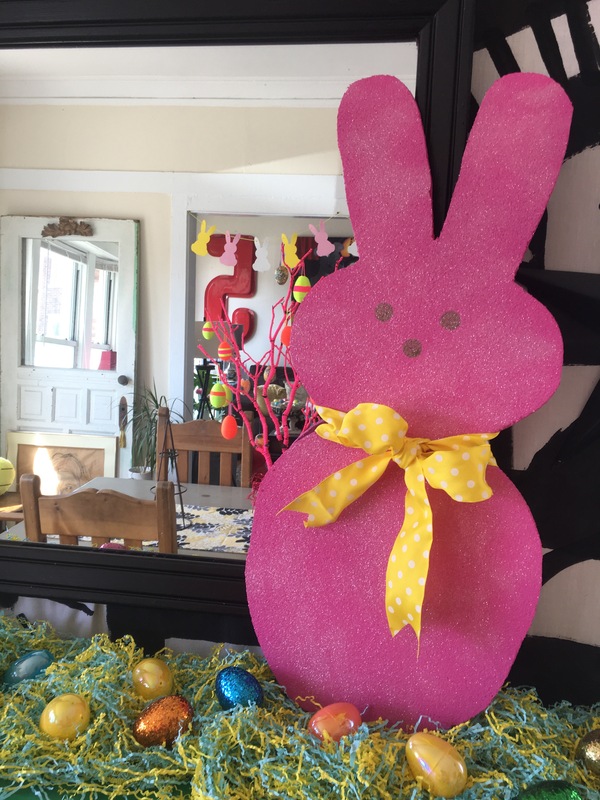 A yellow polka dot ribbon made for a wonderfully cheerful accessory. I love how he and his brother look on my mantel. One or two of these fellows would look great outside or in a planter too. Just add a stake through the bottom and you’d be good to go!